This Wednesday Sandbox gathering we join Rukmini to learn about URBAN Gardening. When I lived in Arlington, Virginia (before one had to be a millionaire to do so), I had a lovely backyard, raised bed garden. Using intention and meditation, I worked with the Devas of the plants and the soil to create a beautiful garden of vegetables, herbs, and flowers, studded with crystals and providing a fragrant, verdant playground for my cats, Leo and Shabat. How have you attempted to connect with nature? Even pots (43!) on my balcony in Leesburg provided homes for bees and flowers, as well as delicious herbs for dinner. If you have, or have not yet, been bitten by the fierce organic gardening bug, join us in a beautiful Rite of Spring. At Perelandra, Machelle Small Wright's magical garden home in Jeffersonton, Virginia, I learned to muscle test and work with the Devas from the author of "Behaving as if the God in all life mattered." I will teach about Permaculture and sustainable land use design. This includes information about Findhorn and Perelandra, working with the nature Devas of plants in order to produce abundant growth.gardening, soil composition and testing, Organic gardening resources, No soil layer gardening, Rainwater harvesting, etc. Rukmini Diane Bongiorni is a long-time organic gardener, trained in muscle testing and other techniques by Machelle Small Wright at Peralandra. 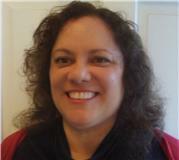 She is also a Feng Shui consultant, energy healer, and tarot reader. She can be reached at dbongiorni (at) hotmail.com or 202-744-3698. The dinner is at 7 pm and the workshop begins after dinner at 8pm. I invite you to join us, though as always what ever choice you make you will be honored in. This entry was posted on April 8, 2011 at 4:32 PM and has received 1526 views. There are currently 0 comments. Print this entry. As you probably know David Hollies died at end of September after being sick with an undiagnosed brain issue for the past 11 years. David helped to co-create Sandbox 8 years ago and he was a light of love in my life and many others. There are some photos of happy times with David and friends here. (The photo below is from a Mexican vacation in 2006 with Gail, David, me and Millie). I notice that I was in shock when I first read David's email and still am to some part. I feel sad, and happy and mixed up. I just went dancing naked in the rain in my back yard - the rain felt like tears from heaven and I wanted to be part of them. I sang a song about David that I made up. And that helped. Maybe a naked rain dance is a good grieving ritual for the ex-driver of the TantraMobile. I don't know if your spirit can read email (I think it gets the vibration at least!) and I want to express myself in any event. You have been a dear friend to me and I remember your warm hugs, your sage advice and your laughter. I see you as a bold adventurer - whether it is hitchhiking in the snowy North Canada and Alaska, or starting several companies, or fighting for libertarian principles or the challenges of your health issues. May your adventures continue in another space and form. I thank you for co-creating Sandbox gatherings and group and for all your contributions to it over the years. It was good to see you a month ago when Gail was away and share stories and adventures and a meal. And to just lie together on your sofa like we did at Sandbox so many times. I never knew your first wife was from Bolivia until that day and I will think of you when I travel there. On Friday, September 24, David made a decision to end his life. He specifically asked me to share the message below with all of you (and any other friends). As you might imagine, I'm feeling a little fragile right now. So, email communications are fine but I'm not ready for phone conversations yet. I appreciate your prayers and I can feel your loving support. I don't yet know how we will commemorate David, but I'll let you know when plans are set. To my wife Gail. Thank you for the gift you’ve been. You have been the absolute highlight of my life. Without you, I would not have made it this far. While I expect my departure will be rough on you in the short term, I hope it opens up space for a new partner who can meet you in the routine activities of the living that have become closed to me over the years. And should the stories of a wonderful place like heaven turn out to be true, I’ll look forward to seeing you there when your time comes. To Gabe and Jessica and little Eva. This brings an end to the role I play in your lives. From here on, you will remember and forget that which you choose. I hope that you will remember my love for you. To Mum, We’ve both wondered for years who might cross this bridge first. I’d hoped I could outlast you to spare you the pain, but events conspired so the choice about timing became no choice at all. To my Brothers and everyone else. The answer to the question why is really quite simply that my living had become a hell of pain and nausea and hundred other tortures of my brain and body, some of which I could not describe given months to think on the right words. Each day I awoke to a nightmare that just got worse and worse. Occasionally there were leads, but ultimately whatever is eating away at my brain and wreaking havoc with my mind is something that is not yet understood. I hung in there as long as I could, but ultimately chose to have mercy. Recent experiences and studies have shown that my body does not have an effective way to regulate cerebro spinal fluid pressure or temperature. For years doctors have tried to pigeon hole me into either high or low temperature even though the evidence indicates that I suffer from both. As yet, there are no conditions characterized by the inability to regulate pressure and temperature in the brain. Not suprising, when doctors see things that don’t fit the buckets in their text books, they tend to dismiss the case rather than question the buckets. In some number of years may be 15 or 25, they will have a handle on the condition that has brought my brain low. And then they may fix it. I have been wrestling with my diminished capacities and mounting distresses for 11 years and simply do not have the stamina to continue. Some look upon suicide as a sure route to damnation. For that to be true, god would have to be less merciful than myself, which seems unlikely. Others might condemn me for the pain this will cause Gail and other’s that love me. All I can say is that their pain has tracked my deterioration all along as they have watched me turn into a wrecked shadow of my normal self, always struggling to reach the next patch of peace to rest upon. It was simply time for me to go. I, tried to do this in a way that is swift and sure. I apologize to all of you who will be harmed by my passing. If there is some aspect of my gifts during my lifetime that means something to you, I’d invite you to work Gail and bring those pieces to life again whether that be writings on personal growth, hitchhiking, government policy etc. To the extent that people desire, I can live on through the actions of others. At the very least I will rest in the peaceful knowledge that I contributed my all, right up to the end. This entry was posted on November 24, 2010 at 4:31 PM and has received 3494 views. There are currently 0 comments. Print this entry. It was a great wedding. Starting Talent night Friday night then wedding by the Potomac Saturday followed by a reception Sat night. This entry was posted on September 1, 2007 at 7:49 PM and has received 1359 views. There are currently 0 comments. Print this entry.